Tension mounts when Chef Ramsay explains to the six remaining chefs that they will go through three extensive challenges to determine which five chefs receive a black jacket. Tune in to find out which chef will be sent home. s18e14 - What's Your Motto? 20 aspiring restaurateurs will brave Ramsay and his fiery command of the kitchen as he puts the competitors through an intense culinary academy to prove they possess the right combination of ingredients to win a life-changing grand prize. 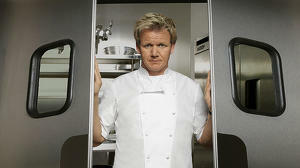 The chefs will have to raise their game if they want to prove to Ramsay that they will have what it takes to win. Their dreams are quickly becoming nightmares.